If you saw my Boots Haul (link here) a couple of weeks ago, you will know that I picked up the Sleek Face Form Contouring & Blush Palette along with the Sleek Cream Contour Kit (review coming soon!). I picked it up because I thought it was a nice little palette for everything you need for your cheeks – blush, bronzer/contour and highlight! First of all, I really like the packaging. It’s a really nice sized palette which is compact enough to keep in your makeup bag whilst the pans for all three products are big enough to dab a makeup brush in. Another big bonus as well, is that is comes with a full sized mirror in the lid of the palette. As for the products inside, the bronzer is matte, so it’s perfect to use as a contour or as a bronzer. The shade is ok too as it’s not too dark or muddying looking. The highlight and blush however is quite shimmery. To begin with the highlight, I like a good highlight to add definition to your cheek bones but I would prefer more of glow rather than a streak of glitter on the tops of my cheeks. It’s too bad however if you use this highlight with a high hand. The blush again is quite shimmery so another one to use with a light hand but it is a lovely coral shade, so perfect for these summer months. 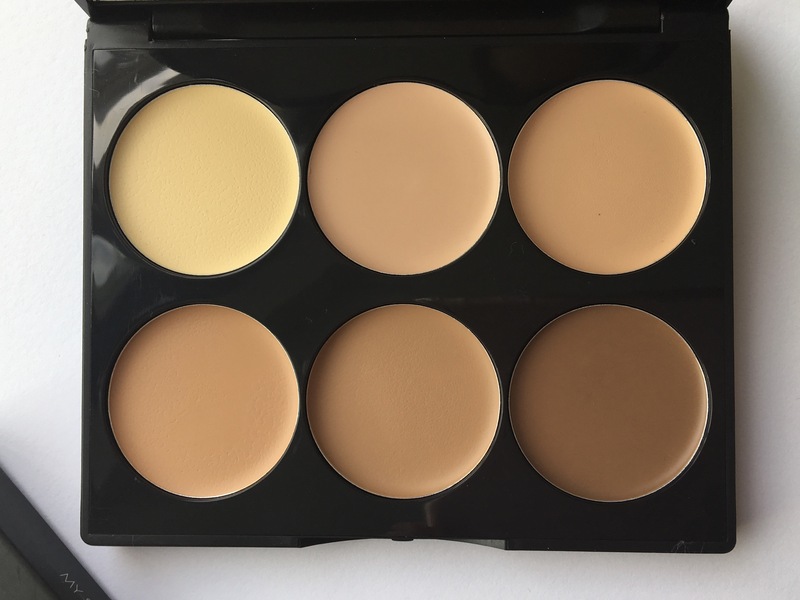 Overall, I’m impressed with the Sleek Face Form Contouring & Blush Palette. Although can be quite shimmery, it a good little companion to have in your makeup bag if you’re going on holiday because it will save packing three separate products. At only £10 , it’s a bargain too! Have you tried the Sleek Face Form Contouring & Blush Palette yet? What are your favourite cheek palettes? 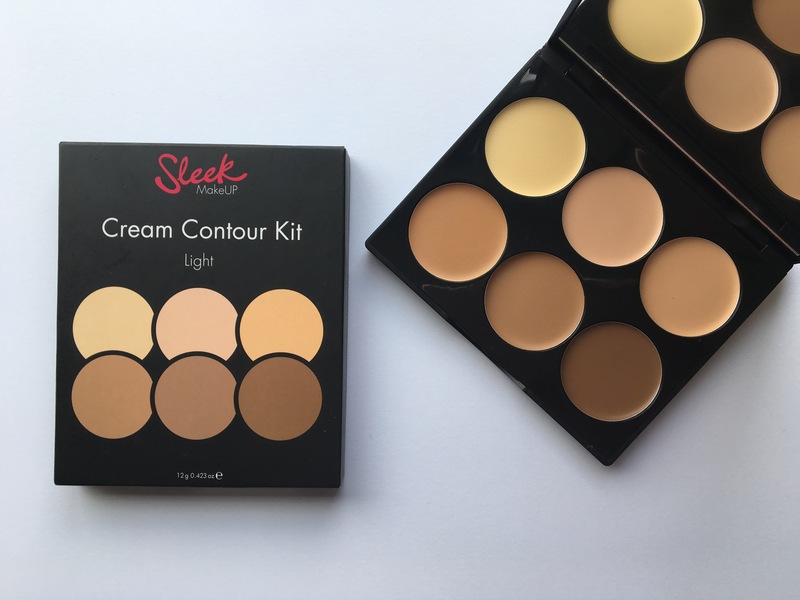 Sleek Cream Contour Kit & Sleek Face Form Contouring & Blush Palette – As you know if you saw my beauty wish list a couple of weeks ago, I had my eye on this for a while so as soon as pay day hit I picked it up. When I reached the Sleek section in the makeup aisles, there was an offer of buy one product, get one half price – well it would be rude if I didn’t take advantage wouldn’t it?! As I was picking up a contour kit, I wanted to get some sort of blush palette however they had all sold out. Instead I opted for the Sleek Contouring and Blush Palette. Bit excessive on the contour products I know, but I thought this was a really nice little kit which has a powder contour, highlight and blush all in one – perfect for travelling! Ecotools Precision Blush Brush – I picked this up as my Real Techniques expert face brush fell apart for the third time…really not happy, but more on that another day! So I needed a similar style brush but wanted to trying something from another brand. I then found this down the makeup brush aisle. Its similar to the expert face brush – same kinda of density, fluffiness only it’s more of an oval shape rather than a rounded brush. It does however do the job of applying my liquid foundation which is great but I think the shape of this brush will also be perfect to use with my cream contour palette too! Denman Dressing Out Brush – I used to have one of these brushes years ago when it was really popular to back comb your hair (think Amy Winehouse beehive days!) and although I’m not looking to massively back comb my hair, my hair is currently looking for flat as its due for another haircut. I thought I would pick another one of these brushes up again, just for those days when I’m looking for a tad more volume.